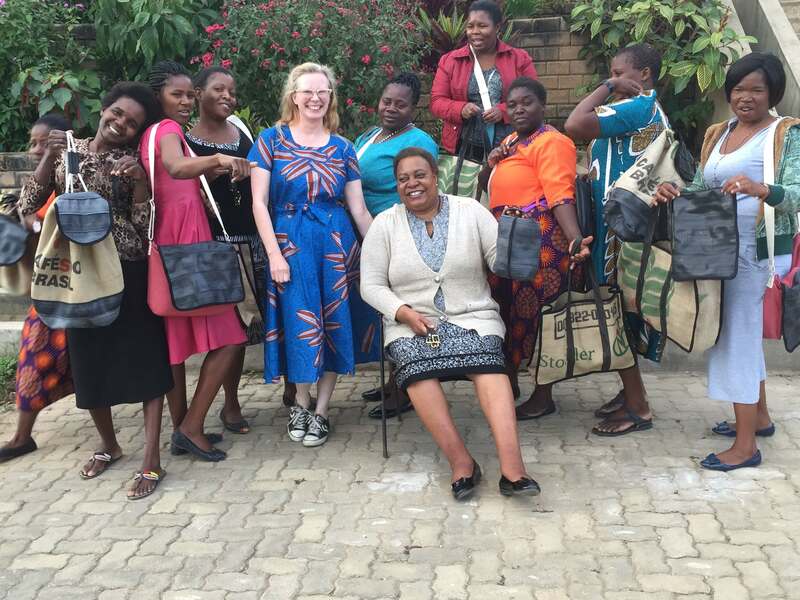 Home / Blog / Bags of TrueStart Good From Malawi! Having been lucky enough to have visited Malawi on a regular basis over the past ten years, it was a huge shock to the system to land at Chileka Airport in Blantyre to find myself shivering with cold! Then I realised I’ve always managed to avoid visit Malawi in the depths of winter and it was especially apparent this year, having left the UK basking in glorious sunshine. But needs must, and the need for my trip this time was especially exciting! 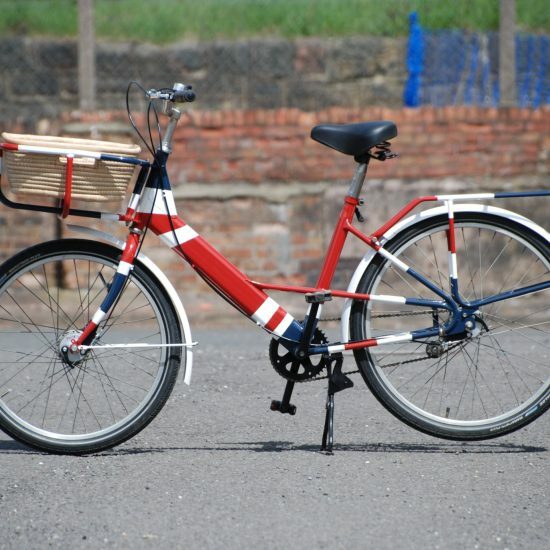 The reason for this trip stemmed from a random conversation last year at the NEC Cycle Show. Simon Hills, co-founder of TrueStart Coffee, asked if there was anything at all we could do with old coffee sacks. 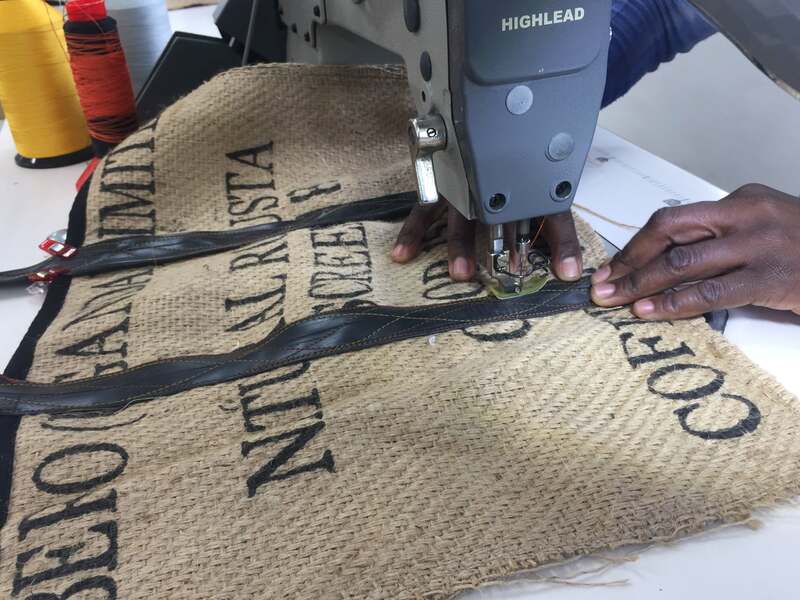 Simon shares our passion for keeping things out of landfill with their “Hyper-sustainability drive” and was desperate to make use of the hundreds of beautiful printed hessian sacks that he knew were being thrown away. 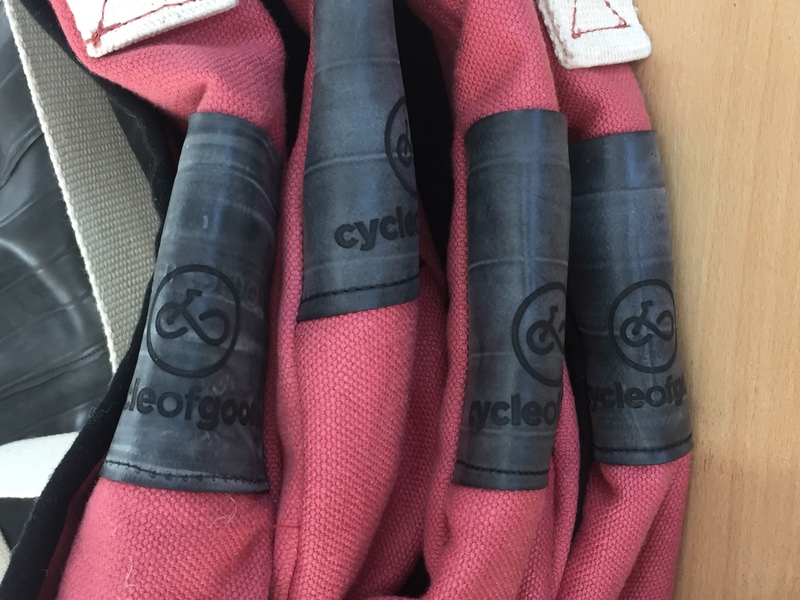 Like coffee, good ideas take a while to percolate, but our new UK based Product Designer, Sarah Griffith, was keen as beans to design bags utilising both sacks and inner tubes and she came up with two super stunning and practical designs. 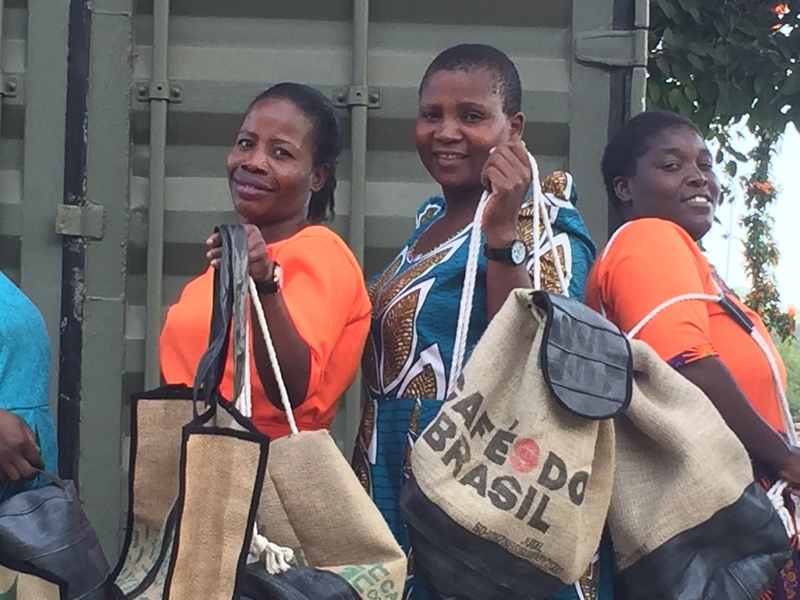 So we packed our suitcases with old coffee sacks (a bit like taking coals to Newcastle with one of Malawi’s major crops being coffee! 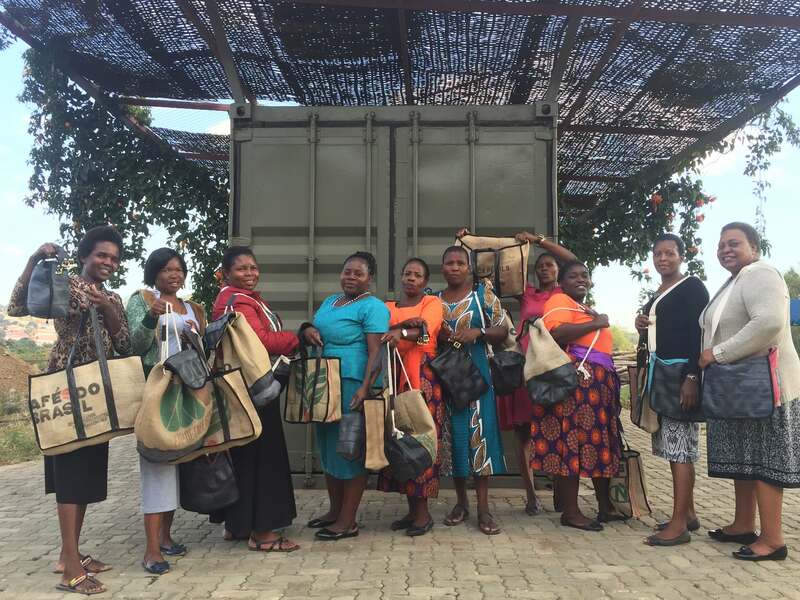 But then all of their sacks are exported), along with webbing, buckles, cotton and rivets and we headed off to train our 12 tailors in Malawi in the fine art of coffee sack recycling. 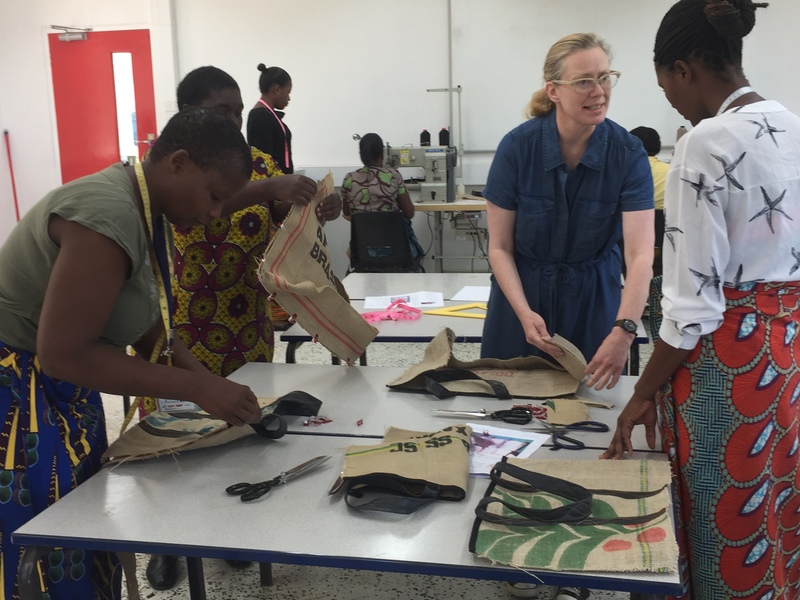 During our two week trip, Sarah delivered training in 6 new products; in addition to the coffee sack bags, she worked with the tailors on tablet cases, a wash bag, buckles and messenger bags. 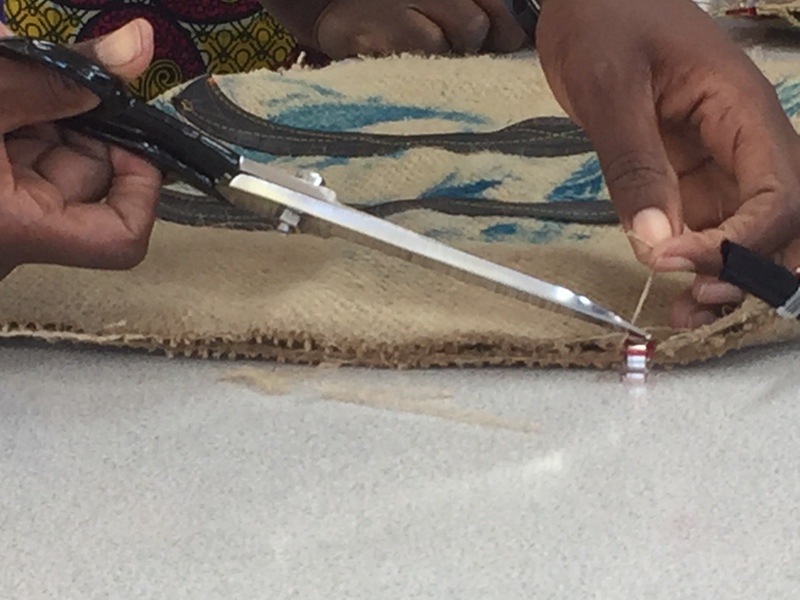 The Chilomoni tailors loved learning new techniques and were thrilled to be working with hessian fabric material, some of which might have originated from Malawi. 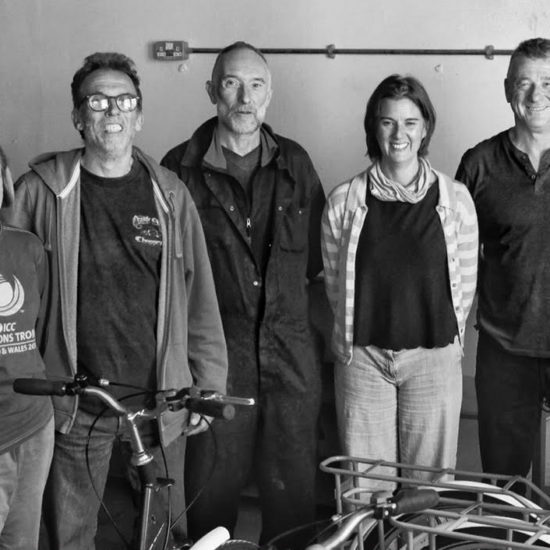 They were rightly proud of their resulting work – a remarkable fusion of earthy hessian and cool recycled rubber. 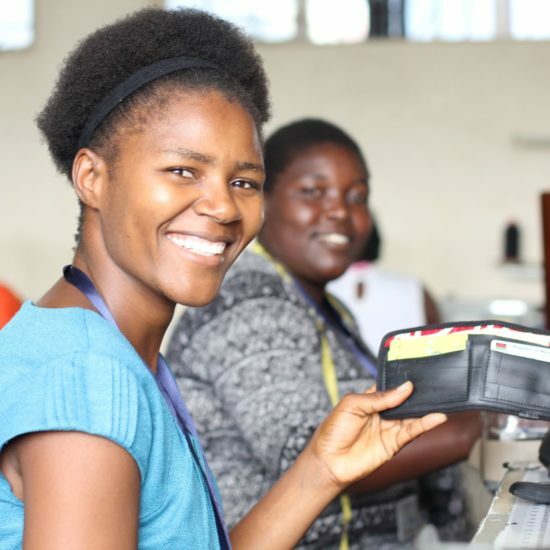 It was Sarah’s first ever trip to Malawi, she quickly adapted to teaching with Chichewa translation and the irregularity of power supply to the machines. She tasted her first nsima and spotted a few hippos. But she never quite forgave me for telling her it would be lovely and warm, when in fact we shivered for two weeks! 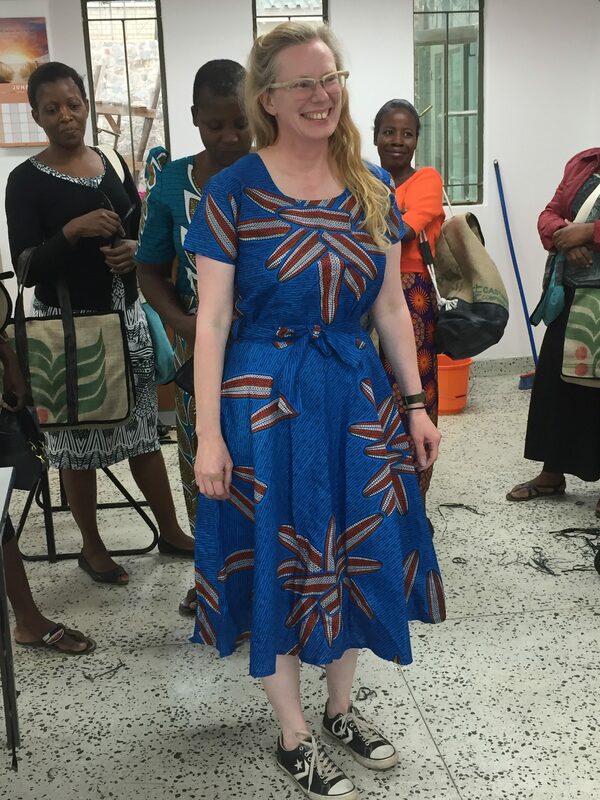 The women must have loved working with Sarah too, on her final day they presented her with a beautiful chitenge dresss and sang a farewell song in Chichewa. The resulting bags, will be available from TrueStart Coffee and Cycle of Good very soon. 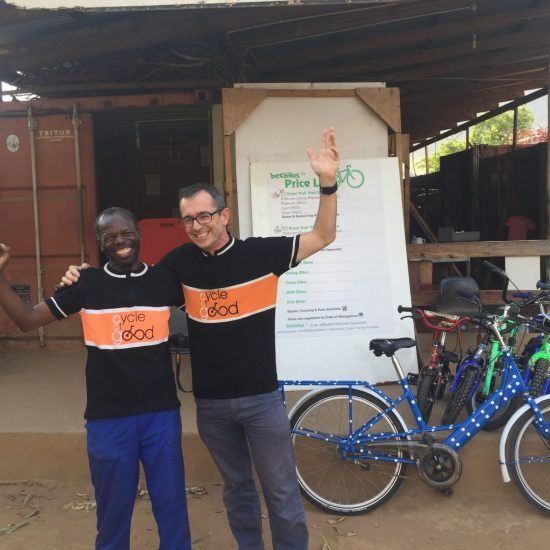 We know you’ll love them as much as we do, after all, they’re totally recycled and they’re transforming lives in Malawi through the provision of long term, sustainable and meaningful employment. What’s not to love about these bags of good? !